Cuba's bartenders are some of the best and during Prohibition many companies outfitted ferries for overnight booze cruise to the island. The classic Mojito is thought to be a modern cocktail and had a burst in popularity in 2003 after Bond in Die Another Day, visited Cuba and ordered a Mojito in preference to his usual Vodka Martini. 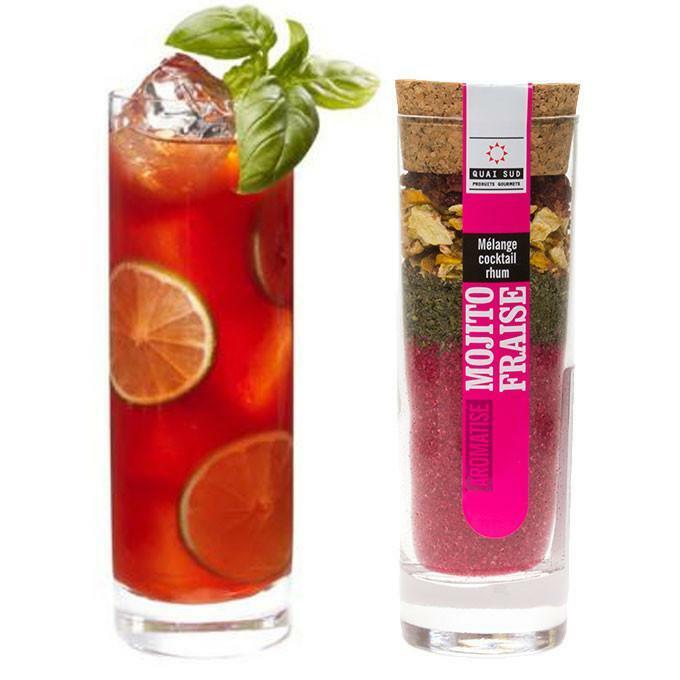 This twist on the class Mojito add's a touch of English strawberries to the mix, perfect for your summer soirée. 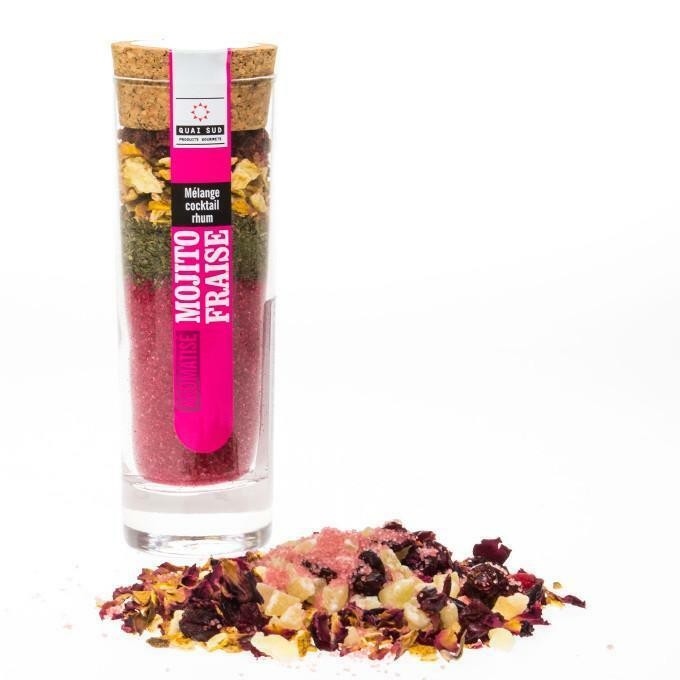 In our Strawberry Mojito cocktail mix you get all the ingredients you need to make this modern take on the Cuban cocktail. Add the contents to 30cl of rum, give it a shake and leave to infuse for one hour. Once the rum is infused strain a double shot over ice in a highball glass, add soda water and sit back, relax and enjoy this refreshing cocktail. Makes 6 strawberry mojito cocktails. Ingredients: Cane sugar, lemon peel, strawberry pieces, mint leaves, strawberry powder, natural flavours, colouring agent, acidifier, citric acid.